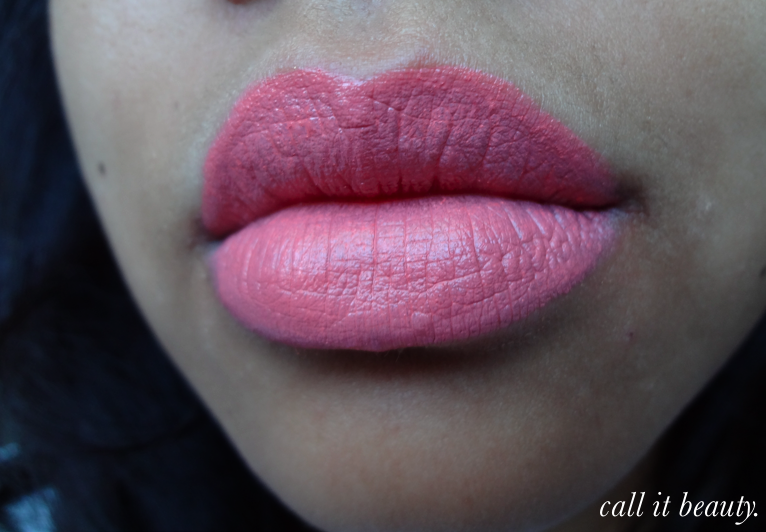 About a week or two ago, the beauty blogosphere virtually exploded with reviews and swatches of Sleek MakeUP's Pout Paints - the UK High Street brand's answer to OCC's lip tars. Lip paint products have held my interest off and on for some time now but I never really took the plunge. 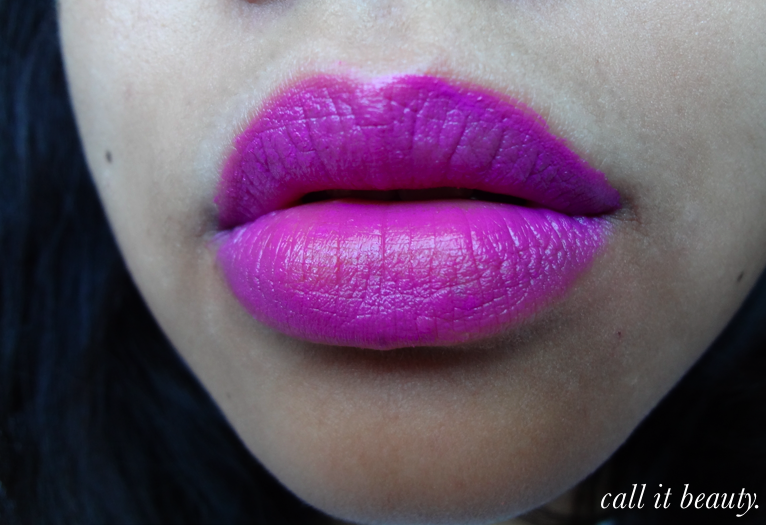 But when I heard about Sleek's Pout Paints, I knew I had to finally try them! AT $8 USD each, it's pretty much a steal! 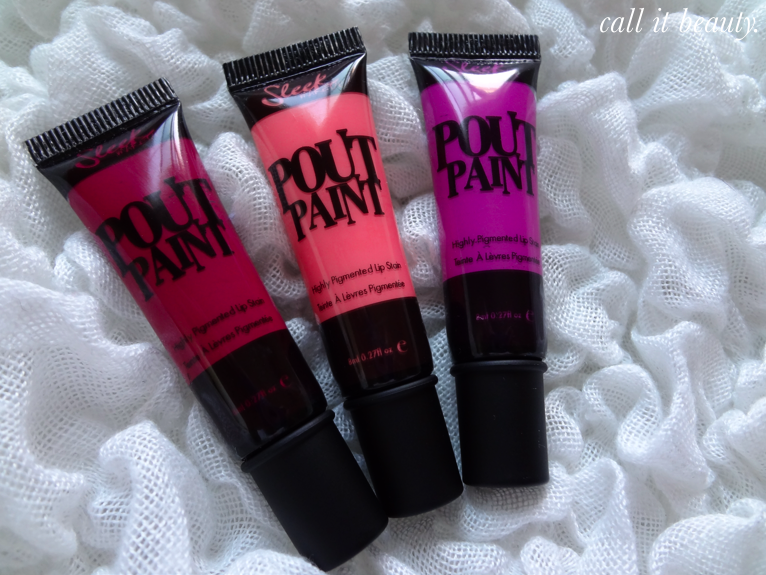 From Sleek MakeUP: Pout paint is the new, ultimate lip pigment that provides a blast of colour in one purse sized tube! The intensely saturated formula provides outstanding colour pay-off in just one tiny speck and dries to a long lasting, satiny finish. With a wide variety of Pout Paints to choose from, you can mix up your very own unique shade using a combination of colours, or simply go for one stand out, striking pop of colour. To create your own personal shade, experiment by adding a touch of Peek-a-bloo, a unique blue tone to add depth and warmth to any lip colour. Or mix in a hint of Clour 9, a pure white to lighten the load. 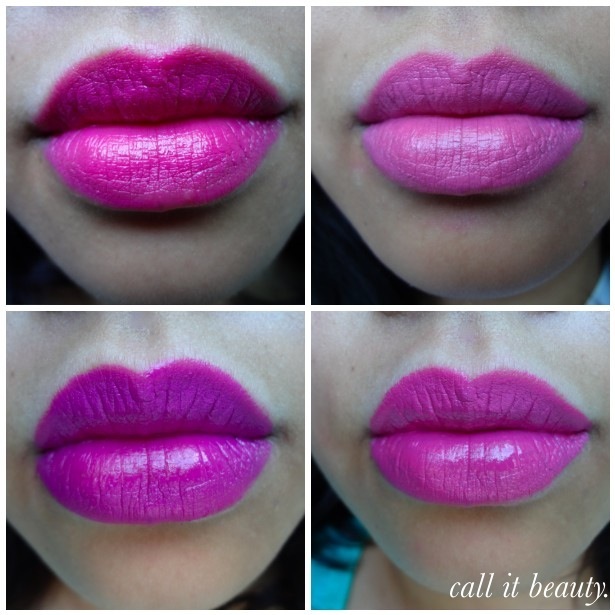 Create the lip shade you've always wanted with Pout Paints! 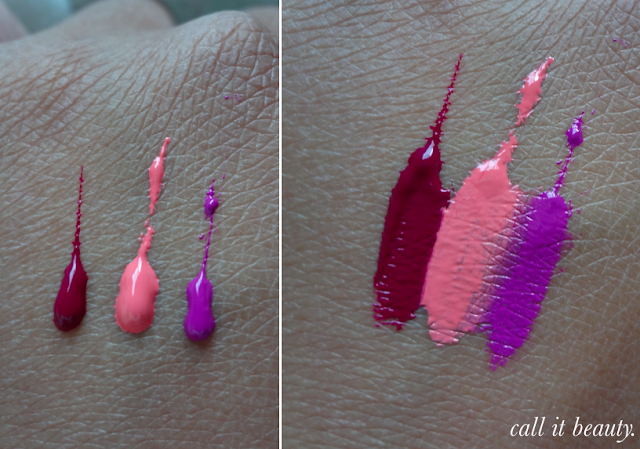 I purchased (L - R) Port, Milkshake and Mauve Me Over, the three shades that caught my eye the most. Each tube contains only 8mL's of product, but that shouldn't dissuade you in the least because these babies are pigmented - a little bit definitely goes a long way! And this is coming from someone who has quite pigmented lips. 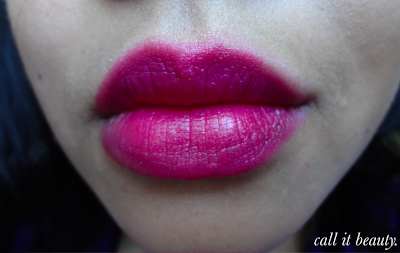 The pout paints apply really smoothly (you'll obviously need a lip brush to apply the pout paints or disposable lipgloss applicators, if you have any) and according to other beauty bloggers, they're less drying than OCC Lip Tars. However, having dry lips, I definitely need to apply lip balm first. Because I layer these pigments over lip balm, that means it only ever lasts as long as my lip balm does; although Sleek does claim that they are long lasting. The best thing about these Pout Paints is still the fact that you can mix different shades together to create a unique shade; it's perfect for makeup artists or makeup enthusiasts like myself who enjoy creating different looks. If you don't have the colour you want, there's no need to shell out money for a new lipstick; simply create the exact shade (or at least a shade that's close enough to what you need) using Sleek's Pout Paints. I'm quite liking the Port + Milkshake mix myself. Port is such a lovely, wearable colour; it might look a bit intense, but it doesn't look scary when applied. I think I might purchase Peek-a-bloo in the future to see how it can change the 3 lip paints I already have. I have to say, I didn't expect creating different shade concoctions to be this much fun! Any thoughts on Sleek MakeUP's Pout Paints?